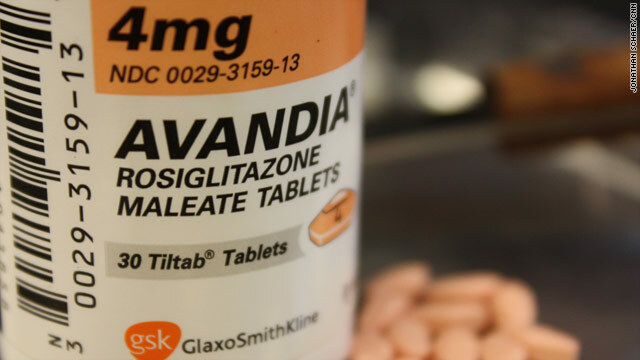 GlaxoSmithKline, the manufacturer of the diabetes drug Avandia, will pay tens of millions of dollars to resolve allegations that the company unlawfully promoted its drug. In February 2010, a 334-page report by the Senate Finance Committee claimed that the drug was linked with tens of thousands of heart attacks and that GlaxoSmithKline knew of the risks for years but worked to keep them from the public. At the time, GlaxoSmithKline rejected any assertions that the drug is not safe. "On November 15, 2012, GSK entered into a settlement with 37 states and the District of Columbia over allegations regarding the sales and promotion of Avandia. GSK has agreed to pay $90 million to be divided among the 37 states and the District of Columbia," Bernadette King, a U.S.-based spokeswoman for the company, said in a statement. "With regards to Avandia, we firmly believe we acted responsibly in conducting the clinical trial program, in marketing the medicine, in monitoring its safety once it was approved for use and in updating information in the medicine's labeling as new information became available," she wrote. Avandia and diabetes: Was the revolution worth the risks? "This was a very sad saga in American medical history," said Dr. Steven Nissen, a cardiologist at the Cleveland Clinic, one of the harshest critics of the drug. In 2007, he published a study in the New England Journal of Medicine that found a 43% increased risk of a heart attack in patients taking the diabetes drug. Nissen approves of the settlement, which he says gives the states some resources to protect the public. "It is like a warning shot across the bow and causes companies to think twice before they mis-promote drugs, and that's a good thing for the public." The $90 million will be divided among Arizona, Florida, Illinois, Maryland, Pennsylvania, Oregon, Tennessee, Texas, Alabama, Alaska, Arkansas, California, Colorado, Connecticut, Delaware, Hawaii, Idaho, Iowa, Kansas, Maine, Massachusetts, Michigan, Minnesota, Missouri, Montana, Nebraska, Nevada, New Jersey, North Carolina, North Dakota, Ohio, Oklahoma, Rhode Island, South Dakota, Vermont, Washington and Wisconsin and the District of Columbia. Deceiving the Public - Regulators and Manufacturers are closely linked. Only after catastrophic events, are the frauds revealed. $90 million – cost of doing business. Pittance to amount of sales dollars. This is nothing new and should be expected from most major pharmaceutical companies. There are several safe foods and medicines that run little to no risk and can completely cure the ailment, from herpes to cancer, but they have been made illegal and a doctor found using them will be put in prison- some have been and even killed because they have cured their patients. D.I. : strop spreading these fallacious rumors. What you say is no different from the concept of "Atlantis", "bigfoot", "Martians" and turning other elements into gold. Avandia may have carried increased cardiac risks but it also helped people control their diabetes. There is something risk-free that will control or eliminate type II diabetes but it is entirely unpalatable by U.S. citizens. It is a low calorie diet coupled with frequent exercise! That does work but few people in this country will give up their gluttonous and lazy ways. Diet and exercise are an important part of any Type II treatment plan. They are NOT, however, a cure and saying this is irresponsible. Many people maintain a Spartan regimine yet still suffer from the disease and require both oral medicines and insulin. Diabetics must treat food as a medication and should neither eat too much nor too little. Failing to eat at scheduled times can be just as dangerous as "pigging out"
Chump change for this company. The sales of this drug to the public far outweighed the fine. These are the drug cartels that people need to fear the most because they have killed millions of people and they get a slap in the wrist and keep getting away with it. Good ?I should claerinty pronounce, impressed with your website. I had no trouble navigating through all the tabs as well as related info ended up being truly easy to do to access. I recently found what I hoped for before you know it at all. Quite unusual. Is likely to appreciate it for those who add forums or anything, web site theme . a tones way for your customer to communicate. Excellent task. "Unlawfully promoted its drug...?" Seriously?! Diet supplement companies sell snake oil every single day. Really? It took this long. A prescription drug caused me ti be insulin dependent and took 13 long years to get a tiny $4,000 settlement for my injury. They award the states millions for Avandia, tobacco, etc. but when my mother died of lung cancer in 2003 the State of Maryland didn't give us a cent of those awards to pay the $10K in bills the insurance didn't cover. So when the states say they get the money to compensate for its costs of them, it's not always true. They made sure, by making a deal with big tobacco to eliminate personal lawsuits, that my mother didn't get a cent of the awards: the state did. "This court action is a stark reminder that consumers deserve full accountability "
Too bad that not a single consumer harmed by SKB's practices will receive as much as a penny from this settlement. In my case the Drug Avandia did work as prescribed. My A1C stayed below 6. Nothing since has worked as well as Avandia. Not even Insulin and other Oral Diabetes Drugs. Do not hold your breath for any of the settlement monies coming back to the consumer. Big Business, Big Pharma, Big Profits!!! The dead have no lobby. Actos almost killed me with side effects, including an 85-pound weight gain, difficulty breathing, edema in my feet and legs, you name it. Thank God I discontinued it (by changing doctors!) after 18 months. Actos is POISON. Pharmaseutical companies run this country through PHARMA, their lobbying wing. Why have we had an explosion of diabetes after GMO crops were introduced? It's all about the tremedously profitable prescription drug business. Money, money, money. Of course they knew about the risks. This is another case where money comes before safety. My question is: where is all the settlement money going ? Please explain to me again why we are now being forced to pay for these criminals through healthcare reform? Watch the video associated with Googling "Raw for 30 days" - that is all that it takes to "cure" type 2 diabetes" And two type 1's got much better and off of or reduced their insulin shots!!! Thanks to Dr. Gabriel Cousens and his medically supervised program that used a healthy raw food diet to get these dramatic results! WATCH THE VIDEO FOR FREE ON-LINE! And – Dr. John McDougall and Dr. Neal Barnard "cure" type 1 diabetes with healthy minimally-processed plant-based diets, too! I video-taped a local guy that cured himself using the guidance in Dr. Barnard's book. The state governments shouldn't get the money, the affected patients and their families should get the money. Giving it to states is like pi55ing it down a rathole. Give it to the people who were really hurt directly by this, yet another example of corporate greed and unethical behavior. The Pharm companies should not pay money to governments. the companies should be made to reduce the medicines to manufacturing cost + 15%, they must continue to produce the drug and if they resist, the patent should go public. This would reduce the drug to a generic. This should also include Kentucky. My fiance (Type 2 diabetes) died Sept. 3, 2010 after his dr. switched his meds to Avandia. Massive heart attack. Nobody ever looked into WHY. This perhaps explains it. So they really should be looking at diabetics who have died from heart attacks in ALL states. Cheaper to pay the fine than lose the sale. my father never knew the avandia pill was dangerous, cause he died before the truth came out.Nobody could figure out what the hell was going on. Then our attornies tell us our amount of settlement through their formula we laughed and said are you kidding – for my dads life this is it. we tell them that the maker has criminal implications and they tell us don't believe what is on TV this is the best your gonna get. We signed the settlement papers months ago and haven't seen a dime. 2 days after we settle Fox news has info about the maker settling with the governmebnt to avoid criminal charges. The lawyers also get 44%. So is what the hell this boils down to is everybody gets taken care of except the poor souls who died a terrible death of drowning of CHF or a heart attack.Our attornies misled us terribly just to rush the whole suit. Will compensate for drinking the drug avandia?